Canberra: A sea turtle has a 22 per cent chance of dying if it eats just one piece of plastic, an Australian scientific institution revealed on Friday (September 14), quantifying for the first time the risk that plastic pollution poses to sea turtle populations. 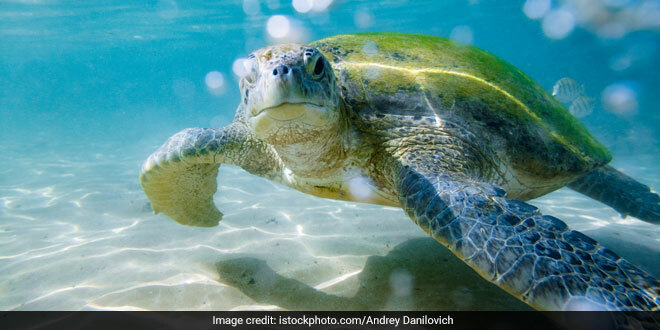 Scientists found that there was a 50 per cent likelihood that a sea turtle would die if it had 14 plastic items in its gut, according to a statement from the Commonwealth Scientific and Industrial Research Organisation (CSIRO). Some of the turtles we studied had eaten only one piece of plastic, which was enough to kill it. In one case, the gut was punctured, and in the other, the soft plastic clogged the gut, Kathy Townsend said. According to the United Nations, eight million tonnes of plastic waste ended up in the oceans each year.